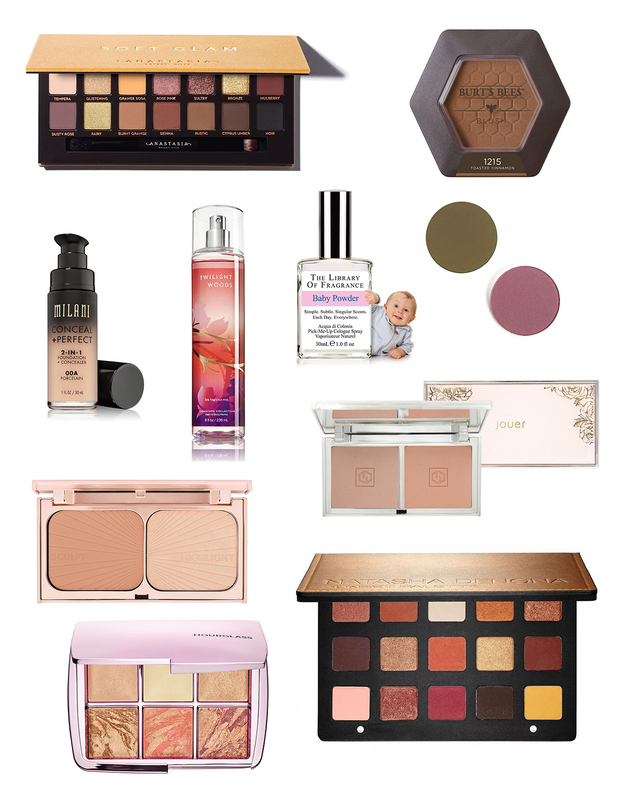 I was tagged by Sandra from Keep Calm And Wear Lipstick blog to do this Makeup Wishlist Tag. Thank you Sandra for tagging me. I've actually seen this tag going around and like it. It's one of those that I was actually excited to write. I'm planing on doing a full post of my current wishlist as well. 1. What is the very next makeup item you're planning on buying? I'm planning on buying Nabla Radikal eyeshadow and maybe also their Circle eyeshadow. 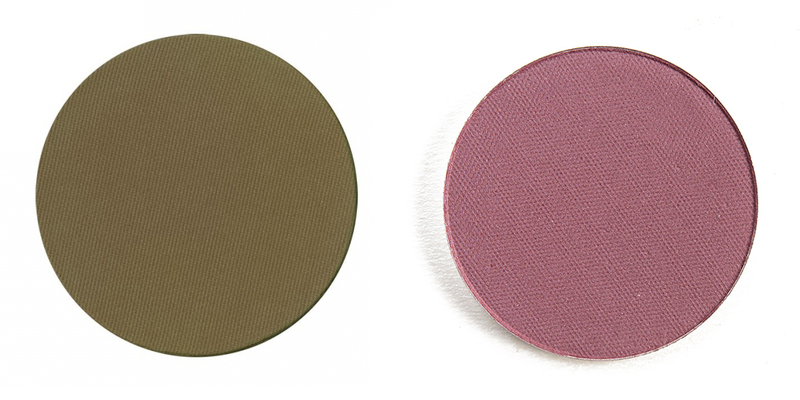 For some reason I really want matte olive eyeshadow and Radikal is the one that looks most like what I want. Plus I also want to add some matte mauve eyeshadow to my collection and Circle looks like a good one. Not too cool and still vibrant enough. 2. If you could walk into Sephora today and buy any one item (regardless of the budget), what would it be? 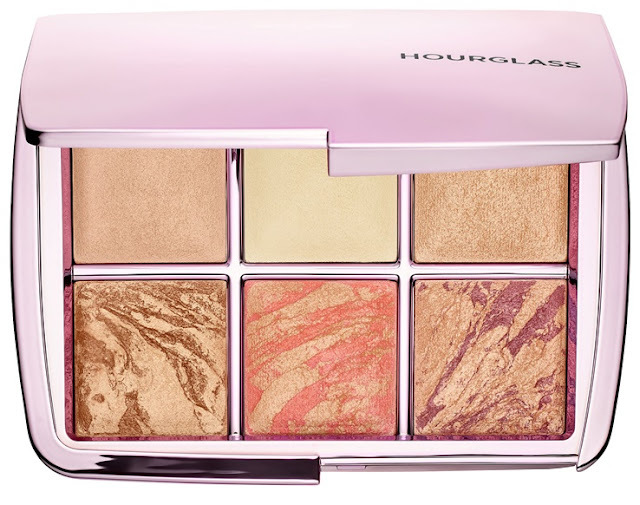 Hourglass Ambient Lighting Edit Volume 4 palette. Hourglass is one of those brands that I wish I had the budget for. Everything looks very chic and I hear the formulas are worth it. This palette has a bit of everything - powder, bronzer, highlighter and blush. 3. What is the oldest item on your Sephora Loves List? I don't have that list, but I can tell you which product that is available in Sephora has been the first one added to my Pinterest wishlist. That is Charlotte Tilbury Filmstar Bronzer And Glow palette. I was drawn to all that Charlotte Tilbury hype, when it came out and I'm sure her products are great since she is one of the most popular makeup artist and knows her formulas. The range is just too expensive for my current budget. 4. 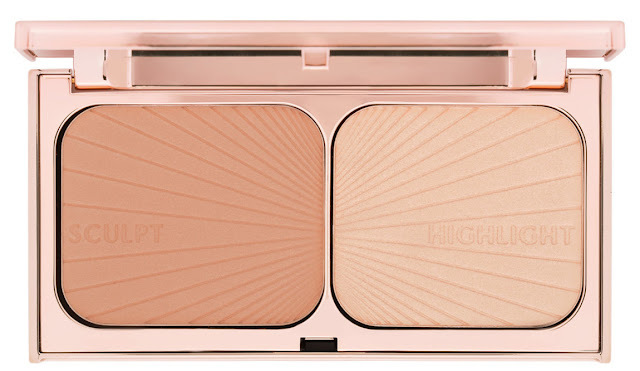 What is the newest item on your Sephora Loves List? As I've mentioned before, I don't have that list. But I'm going based on my wishlist and the newest item on it, that is also available in Sephora, is Jouer Cosmetics Blush Bouquet Dual Blush Palette in color Adore. It's one of those peachy muddy neutral duos that I always go for. Jouer is just one of those unexplored brands to me that I want to try out. 5. What perfume is on the top of your wishlist? Currently, it has to be Bath & Body Works Twilight Woods. Well it's a mist, not an actual perfume. I've just tried the sample again recently and I love it. It's so appropriate for this time of year. Sultry, oriental, sweet and so cozy. I really want to get it, but can't justify buying, because I have so many fragrances already. 6. What is the new release you're looking most forward to? I can't point anything out, because there is so much releases these days. It's a bit overwhelming sometimes. Let's just say I'm always looking forward to seeing what Colourpop is going to release next. 7. Are there any drugstore products you want but haven't yet pulled the trigger on? There is a lot of drugstore products that I kind of want, but haven't bought yet. 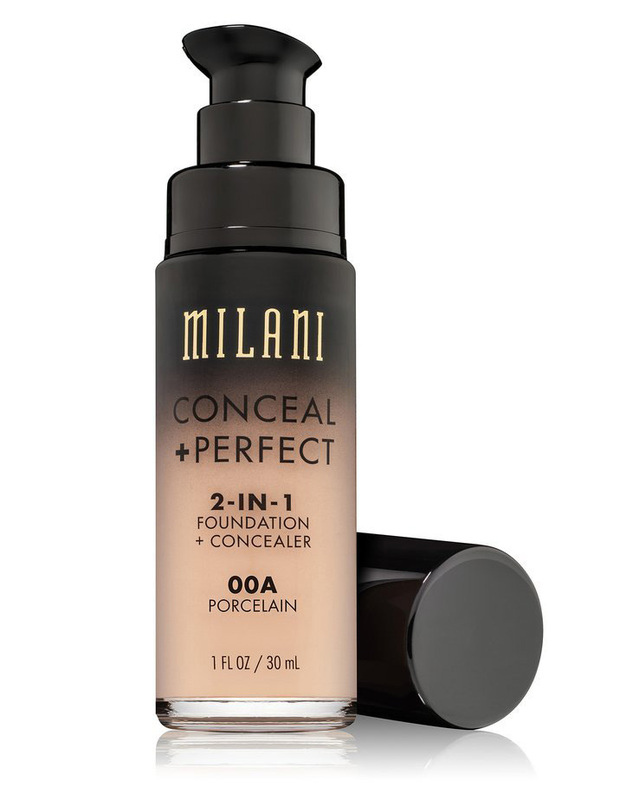 One of those is also Milani Conceal + Perfect Foundation in 00A Porcelain. I've got a tester of it and liked the fact that it was so light in shade. Coverage is also really nice. 8. The eyeshadow palette you're lusting over the most. For some reason that is Anastasia Beverly Hills Soft Glam palette. I don't even know why, mostly just because I wonder, if the formula is really as good as everyone raves about. And because I love neutral eyeshadow palettes in general and I know I would get a good use out of it. 9. Product you're waiting for your next birthday/Christmas to ask for. I don't ask anyone for makeup products, neither skin care. I buy my own products. But I do have a wishlist that my friends can look at, if they want to see what I'm wishing for and maybe get some inspiration. Buying a gift for others can be stressful sometimes and I personally love when my friends have wihlists, because it means I'll get them something they really want. 10. What is the item that you're dying to have that is not available in your country/area? I only found two products that are on my wishlist and I can't get them on any online stores that I know of or in physical stores. That is The Library of Fragrance Spray in Baby Powder scent (oh my God! I love that scent so much!) 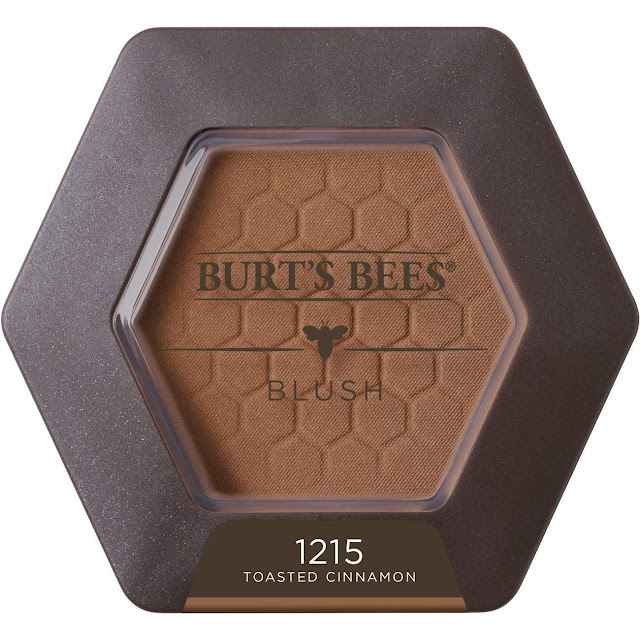 and Burt's Bees Natural Blush in Toasted Cinnamon (I don't even know, if it would suit me, but for some reason I have it on my wishlist). 11. What is the thing that you really want, but you'll never buy because it's "too expensive"? Natasha Denona eyeshadow palette. There is no way I'm ever spending over 100€ on one eyeshadow palette. I don't care what anyone says, but that is extremely overpriced. There can't be any such revolutionary ingredients in it that would justify that price tag. You're paying for the brand. 12. If there was a beauty product Genie who could grant you one wish, what would you wish for? Wow, this is a very difficult thing to answer, because there are so many things that I would want to wish for. I'm going to try to sell you this as one answer. How about that there would be whole range of brands and their products available in every country, every physical shop and every online shop. That would mean that our brand importers would actually have to carry very light as well as very dark foundations and that most of us wouldn't be lusting over that product by that brand that is available only on US market, but not in our store. It would also mean that all of us would get the chance to buy products from every brand, even those that are currently not available in our country. I think that would level the ground, but will probably never happen, unless there is such thing as a beauty product Genie. I'm tagging Lana from Lana Talks blog as well as Nadja from Memento Mori blog to do this tag. Hopefully, you have time to do it, because I'd love to read what products you're wishing for. Jaz zihr nisem bila razlog za ene par stvari na tej wishlisti :D 100% podpiram nakup Twilight Woods, men je to tako krasen vonj. 100 € za paletko tudi jaz nebi nikdar dala. A dajo zraven še vrečko zlata ali zakaj je ta pobarvan stisnjen prah tako drag pri Natashi Denoni? Tudi jaz bi rada videla, da bi bili vsi izdelki enostavno dostopni povsod. Prav tečno je koliko izdelkov je izpuščenih pri znamkah, ki so na voljo pri nas, sploh ko pride do izbora odtenkov. Sicer se ponudba zelo izboljšuje, ampak smo še vedno tretirani kot nek bolj obrobni, nepomemben trg. Sploh ne :D Joj, Twilight Woods si ne morem zbiti iz glave. Imam še vedno tvoj tester in vsakič, ko ga voham, si ga zaželim :). Če si ne morem upravičit nakupa. Imam absolutno preveč dišav. Haha ja :D Ne vem, meni je to prav bedno. Saj pa ne moreš takih cen postavljat. Četudi plačuješ znamko, ne gre no. Pa npr. La Mer in še kakšne bi se našle. Ni šans, da je kakšna koli sestavina v teh izdelkih tako draga. To sploh opaziš, ko spremljaš kakšne ameriške lepotne navdušenke. Jaz vedno kaj tam najdem, kar pri nas nimamo in nikoli niti ne bomo imeli. Odtenki pa itak. Sploh ne bom debatirala o tem. Se strinjam, se malo odpiramo in je več znamk kot tudi ponudbe, ampak še vedno ni to to. Twilight Woods mene tudi mika, Mateja ga zelo hvali + njihove meglice so mi res všeč. Milani puder se sliši res idealno, ampak škoda, da ga ne moreš nikjer pri nas v fizični trgovini videti in sprobati. Mi je bilo prav zabavno napisat to objavo. Hvala za taganje :). Twilight Woods je po dolgem času res nek vonj, ki mi izredno všeč. Meni je Mateja poslala tester in zdaj skoz mislim na ta spraj :D. S pudri je vedno težko. Jaz sicer kdaj kupim na pamet, ampak bolj redko. Milani bi na sploh bilo lepo imeti v drogeriji. Imajo nekaj super izdelkov. Sem vedela, da ima Ikona, ampak ko sem nazadnje gledala, niso imeli Baby Powder verzije. Tako da hvala za to, bo šlo na wishlisto. Zdaj je vsak dostopen :). Jaz sem že slišala deljena mnenja glede njenih palet. Baje so ene res odlične, druge pa spet razočarajo. Čist možno, da vse niso iste kvalitete. Meni so vsekakor predrage. Tudi cenejše znamke imajo že res dobre kvalitete. A ne? :D Mislim da so odtenki pudrov tukaj definitivno največji problem. Točno tako. Vsaj to kar imamo, bi lahko bila ista ponudba :). O jaz tudi upam, da bo kdaj free shipping. Samo enkrat je bilo ko sem naročila. Upajmo,d a bo letos black friday dober :D.